As we approach the end of the year and we all feel a little reflective, I thought I’d pick out some of the events and stories from the past twelve months that we’ll all be familiar with and highlight what we can learn from them. Seems pretty obvious, doesn’t it? But you’d be surprised at how many do it anyway. We’ve seen stories the world over about powerful figures being shown to have mislead, omitted truths, or straight up lied through their teeth this year. 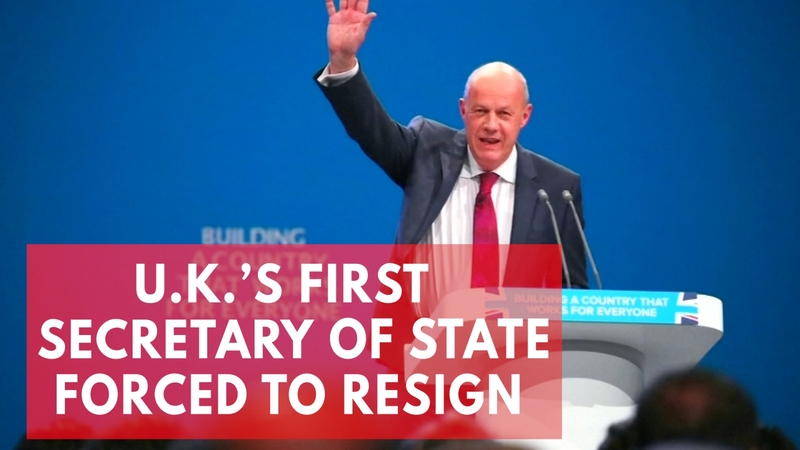 From those involved with the 2016 presidential election in the US, to the sacking of Damien Green, the UK’s First Secretary of State for lying about material found on his computer. In Green’s case, while there other factors in play including a concurrent investigation into allegations of sexual misconduct, it wasn’t the accusation that led to his sacking, it was the fact that he had lied about it. As in most cases the cover up is seen to be worse than the crime – had he not deliberately lied and misled the public, they may have forgiven him. In PR honesty really is the best policy. That doesn’t necessarily mean you have to immediately and publicly disclose everything that may be unfavourable to your organisation or client, but if and when you are questioned or challenged on it that you answer honestly and truthfully. There are countless amusing examples from over the years of politicians standing in front of signs – where blocking out letters spells something chucklesome. However, few that I can recall caused quite so much laughter from around the globe as a BBC interview with inter-Korean affairs expert Professor Robert E. Kelly. PR practitioners have long warned their clients and colleagues about the dangers of standing in front of signage, communicating in busy public places, and the like. Now, when many interviews are conducted over video calling services from office or home locations – interviewees and their PR counsellors need to be mindful that nothing in that environment compromises the interview or the organisation in question – be that a book on the shelf in the background, or (amusing as it was) interruptions from children. Everyone in the public relations industry is familiar with the sorry tale of Bell Pottinger’s demise. While many within the firm were not involved in the former agency’s more controversial work and practices, and didn’t deserve the fate they ultimately suffered, this is a story of the devastating effects of acting unethically. While the work that most of us do doesn’t involve the same types of risk that Bell Pottinger were prepared to take on with some of their clients and briefs, it’s important for us all to act with ethics and integrity at the heart of everything we do. Many of us have signed up as members of professional bodies and trade associations and are bound by their codes of conduct, which include commitments to ethical practice. Some of us work for organisations, like my own, which conduct mandatory ethics training on a regular basis to ensure all staff know what is expected of them. 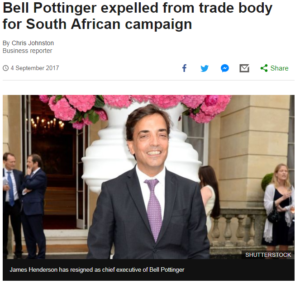 But even if you are not involved in any of these, it is vital to always act ethically – to do otherwise tarnishes your reputation, your organisation, and the industry as a whole, as well as risking a fate similar to Bell Pottinger. If you’re going to put up a spokesperson for an interview, you better know they can handle it. There were numerous examples of interviewees fluffing lines, getting muddled or making things up on the spot this year. One of the more well-known examples was an interview with Labour’s Shadow Home Secretary Diane Abbott. While Abbott’s communications support should have made sure she was adequately briefed and prepared for the interview, they should have also reminded her of her media training and how to deal with questioning when you cannot remember the pertinent information. In the interview, while it would still be perceived as problematic for someone in Ms Abbott’s position not to be able to recall that figure, it would have been quite simple for her to state that she couldn’t recall the exact statistic and bridge away to something that she could deliver well. It’s important for PR people to ensure their spokespeople understand not only how they can answer the questions they were pitched to field, but also how they can handle anything else that arises during the course of the interview – whether that be referring the journalist to someone else, deploying a holding statement, or using their media training to get back to more comfortable ground. Again a political example, but one that reinforces the point. PR people should ensure that their spokespeople are not overused. There can be no better example of the dangers of committing to too many interviews than that of UK Prime Minister Theresa May at this year’s Conservative Party Conference. Having conducted well over twenty media interviews with a cold the previous day, Ms May’s voice gave out during her headline speech, which became a source of ridicule and undermined the content of that speech. It didn’t help that there were other incidents and mishaps that all combined fit a narrative of a weak leader clinging on – whether that is the case or not. Communicators can often get carried away when they find a good spokesperson – and look to use them as much as they can, however it is important to consider that they are not simply a spokesperson, they do have other things to do. There needs to be a balance found between getting the most PR value from good spokespeople, while not compromising their operational role and other commitments. We have seen a number of stories recently where historic information has come back into the public domain and has caused embarrassment, harm, or in the worse cases criminal investigations. In an age where content can be published and shared with relative ease, organisations and individuals should be aware that any skeletons in their closets may not stay there. From comments made by high-profile politicians from the Labour front bench and US ambassadors, to actions of large corporates in years gone by, this resurfacing of information has the potential to damage the reputations of those involved in the present day. Communicators need to be aware that there are these elements well outside of their control that can quickly derail the activity they had meticulously planned. Where possible they should delve into the history of their organisation or client and identify any skeletons that may come out and how they can prepare for that. It is frankly baffling that we still have to be saying this in 2017, and clearly into next year too, but there is simply no excuse for all male panels in this day and age. Apparently CES missed that memo when they were planning 2018’s event in early January and rightly attracted criticism. Their response to that backlash was pretty poor too. Sadly we know all too well that it isn’t simply technology events that have this issue – it seems to permeate every industry and sector. With communicators often playing a role in what their organisations or client do and say at events and conferences, they serve as a good first line of defence here. We are able to voice concerns and recommend declining speaking opportunities on all male panels, to not only avoid the backlash that could be felt by the organisation by participating in such a panel, but also by restricting access to potential speakers, incentivising the change that needs to be seen. Communications needn’t always be too complicated. Sometimes campaigns and activations will take weeks and months of careful planning, sometimes all it takes to get that cut through result, is a 30 second idea, a sense check and authorisation. There are few better examples of this than the emergency services when Twitter extended its character limit. We’re seeing more and more of these quick wins happening, I know colleagues in our team of digital specialists have delivered similar successes with ideation to execution in mere minutes. That kind of agility isn’t always easy to achieve, and requires trust and confidence in communications counsellors’ ability to ‘read the room’ on whatever platform the activation will occur on, but can serve as valuable hotspots in wider communications programmes. Getting cut through isn’t always easy, particularly in an industry or sector that isn’t particularly exciting. Some brands and organisations have taken to sharing controversial content or taking part in provocative stunts to get themselves headlines. Some have been quite skilful and effective in finding the line and toeing it, but not stepping over it. Some though, in trying to emulate this, have probably overegged and misjudged their efforts. Many have been shocked (some appalled) by Poundland throughout December, who have been posting provocative content on their social channels. While some will say that Poundland is not a retailer that people shop at because of its brand values and this campaign has been effective at gaining hundreds of thousands of pound’s worth of free media coverage that they would not have otherwise achieved – particularly at this time of year – there are many who feel this crossed the line. Similarly Greggs, in the clever use of an edited nativity image, courted controversy, but in a way that was generally considered to be far less offensive, and as such a much greater success. Communicators as the eyes and ears of organisations and their trusted advisors can help in identifying where the line is drawn, and give an informed and experienced view of the risks of using controversy in this way. Of course, sometimes mistakes will be made, but as the guardians of organisations’ reputations, PR practitioners should at the very least be consulted and ideally be intimately involved with the planning process and execution of controversial campaigns. In recent weeks we have heard that another of the free online services that communicators have come to know and love is closing, as it is unable to find a sustainable business model. Storify’s closure will not only result in the service being unavailable for new use, but will also mean all of the content curated and documented via the service since its inception will be wiped from the internet. This it yet another example of the dangers of using free online services. They can be fantastic, but we shouldn’t be too reliant on something that we are unable to control. It is much better to ‘own’ channels than ‘rent’ them – as Sarah Hall and Stephen Waddington rightly say on their #FuturePRoof podcast, it is better to publish in a domain that you control and use ‘rented’ social and digital channels, platforms, and services to share, amplify, and solicit engagement and discussion. All of this is pretty common sense stuff, but when you look through the examples used to highlight these points it becomes apparent how many fail to follow these principles at the times they are most needed, and the impact that can have.